We've been devleoping high quality software for over 6 years, working with clients from across a variety of industries. With our diverse experience, we've tackled all kinds of challenges, always finding solutions that work and creating products that make a difference. As a client-focused custom software development company, we've worked on many different ambitious projects around the globe and with customers from a wide spectrum of industries, all the way from Fintech to NGOs, and each one comes with its own unique set of challenges. Our advantage is not only convenience due to timezone and technical expertise, but also our vast experience in a variety of different industries such as Education, Finance, Logistics, and Healthcare. Take a look at what we've been building in these different areas and let us know if you'd like to learn more about how our meticulous approach to building great software might be a fit for your needs. Envio360 is the world's first real-time optimization platform for the Drayage Industry that uses the power of Artificial Intelligence to optimize intermodal transport challenges. We built the web portal in Django, which allows users to seamlessly and effortlessly interact with the system and optimize their efficiency. 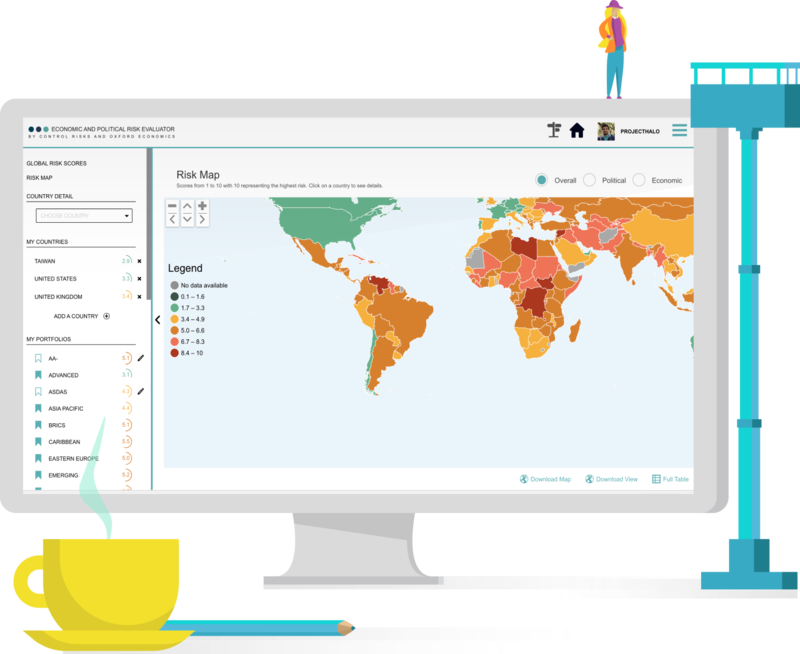 Risk Evaluator enables investors to scan economic and political risks so that they can better identify business opportunities. We worked with Oxford Economics and Control Risks to build this comprehensive and innovative platform from the ground up using Node.js and Angular. This is just the beginning. Check out more of the maintenance and devleopment projects we've been working on for other indsutries not listed here.